Do you have a question? If you don’t see what you are looking for, feel free to ask us a question. What are the advantages of hosting a dive? Well for one thing, you get to dive when and where you want and/or when you are able. You get to meet and hang out with some of our great members. *An asterisk? Well, there is always an asterisk. This good deal of a free air card is only redeemable once per calendar month. Also, a rescue oxygen tank in possession of someone certified to administer it counts as an additional diver. So hosting a dive with you, an oxygen tank and 4 other Marker Buoys would get you an air card. How do I host a dive? 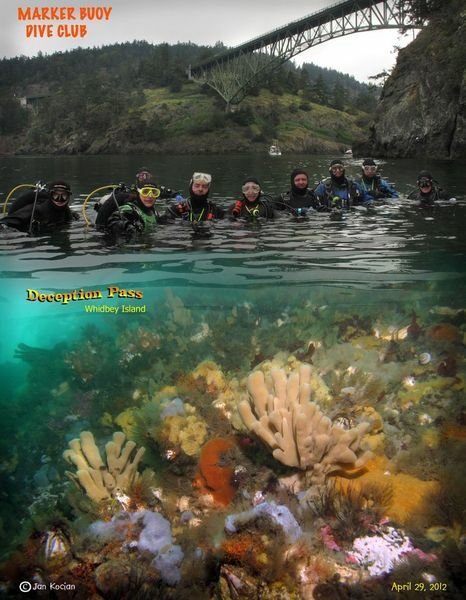 Find a site where you would like to dive. Find a good date and time for the dive. You will probably need to take in account the local tides and currents at the site. Add some information about the site, the suggested skills and equipment required. It might be helpful to look at previous dives. Keep an eye on the comments and provide additional info if you can. At the time of the dive, make sure who shows up and work with the other divers to provide a buddy for each diver. At the end of the dive, make sure everyone returns safely. Congratulate the other divers on another safe dive. How do I see what dives are scheduled? You can see them on our Meetup page. How often does the club host a dive? Lately we have been hosting 10+ dives per month. You can check out how often we have dove in the past by lurking on our Meetup page. Do you have any special dive meetings? Where are your monthly meetings held? As of this posting, over 200. We have just a few requirements. You must be over 18 and you must be a certified diver. 1. You need to fill out and sign our waiver. 2. You need to pay your dues. 3. You need to join our Meetup group. Membership is $35 per year. The cost is prorated to $20 if you sign up after July 1st. The membership dues are due on January 1st. If you have not paid, you will be removed from the club roster on March 1st.